Bartlesville High School Bruin football players still have some climbing to do up the mountain of progress. But, at least their on the slope and heading in the right direction. Although the offense draws a large chunk of the attention, Bartlesville’s defense again turned in an impressive performance on Friday. 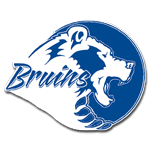 The Bruins held a talented Ponca City team — in spots — to eight three-and-punts, plus two other possessions that ended in turnovers. Each of the defensive backs made some nice pass break-ups, or redirecting the receivers on their routes. Give credit to the Ponca City quarterback. He excelled — with his scrambling — at extending some plays, which allowed his receivers to get open and do some damage, from time to time. In that way, the quarterback reminded me of Bartlesville’s starting quarterback from 2013-15, Colton Penrod. New starting quarterback Garrett Meidl threw as sharply and crisp as he has all year — although its easy to forget he made a fine debut way back on Aug. 26 in Bartlesville’s opener. Garrett is recovering nicely from a knee injury and his growth into the position is a key for the Bruins as they take aim on the next plateau. They’ll have one more week to get healthy before finishing up with four straight games — hopefully followed by the playoffs. The future is tinged with promise.